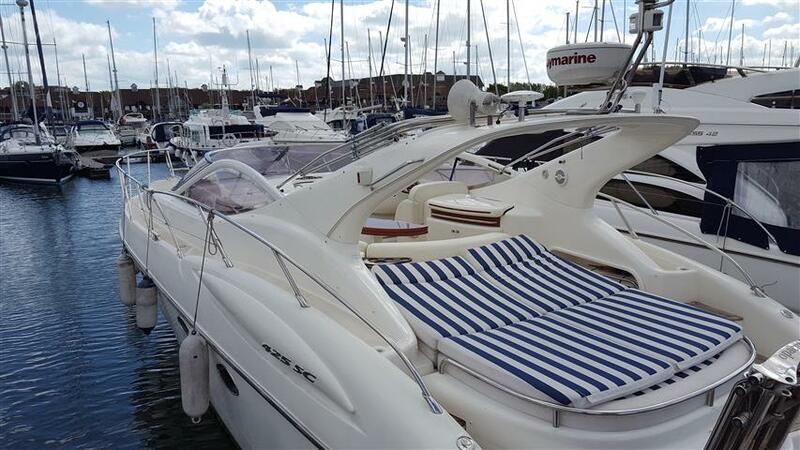 A superb 13.7m (45ft) luxury open cockpit motor cruiser, perfect for entertaining in the sun with an open seating area around an oval table. 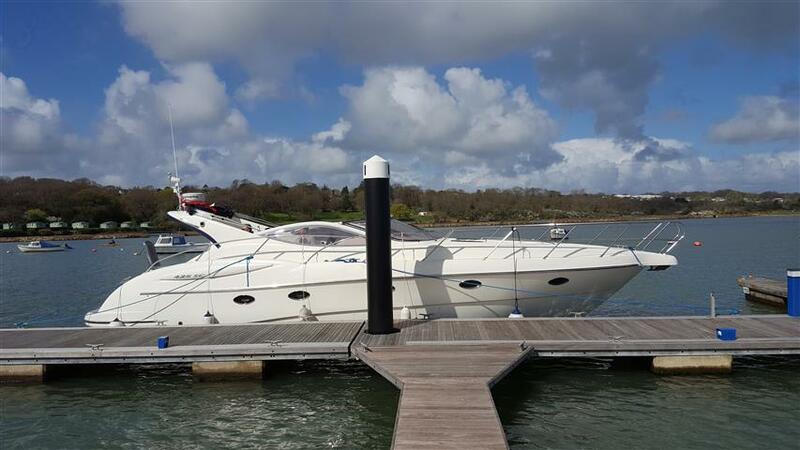 Adjacent to a fully equipped galley and fridge for drinks. 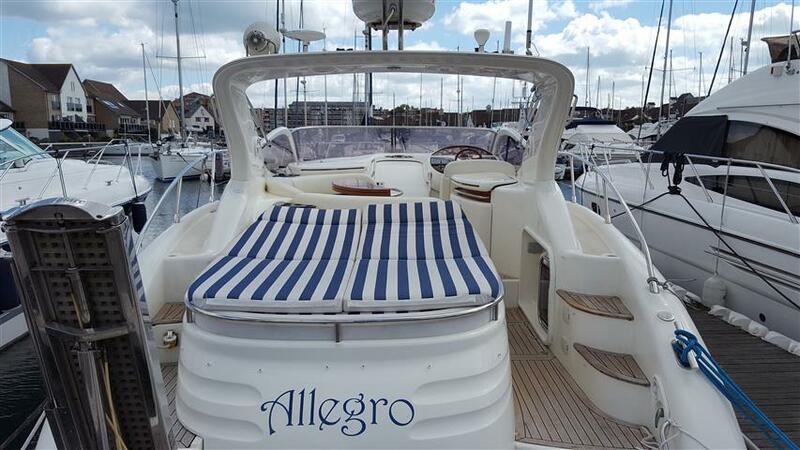 Allegro also features large comfortable sunbeds which are used for additional seating for larger parties, and wide swim platform for boarding. 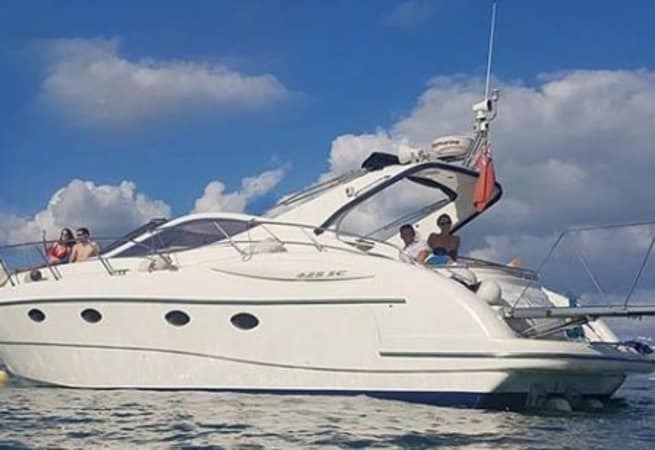 Bluetooth music for your favourite tunes. 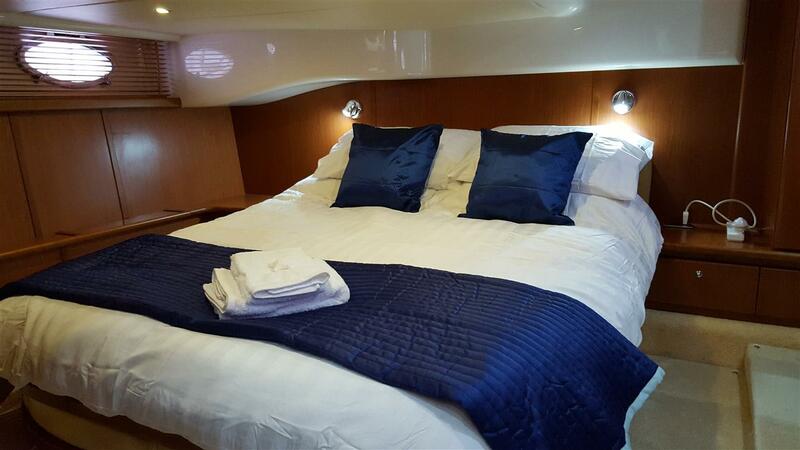 Below deck is a further saloon area and galley with another fridge. 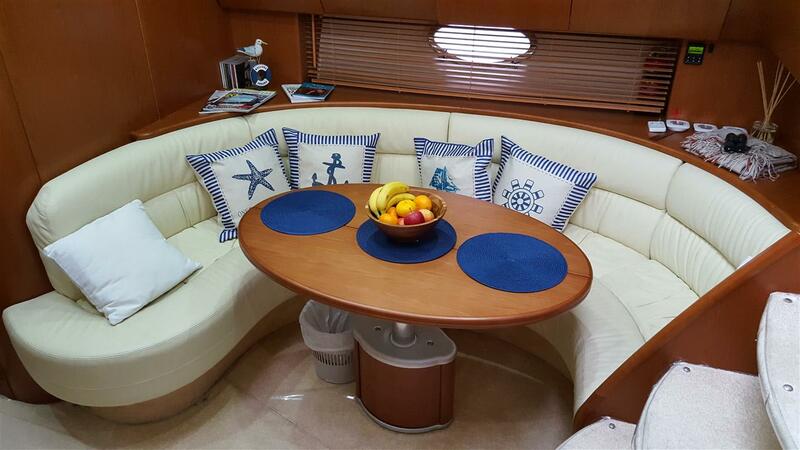 Also cream leather seating around an oval table, as well as two bathrooms and two large double bedrooms. 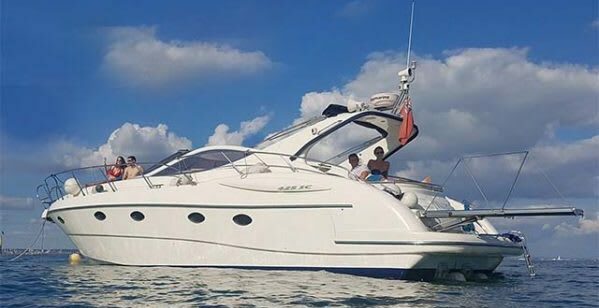 With options of weekday (Mon-Thur) and weekend (Fri-Sun), day charters as well as our extended VIP champagne charters. 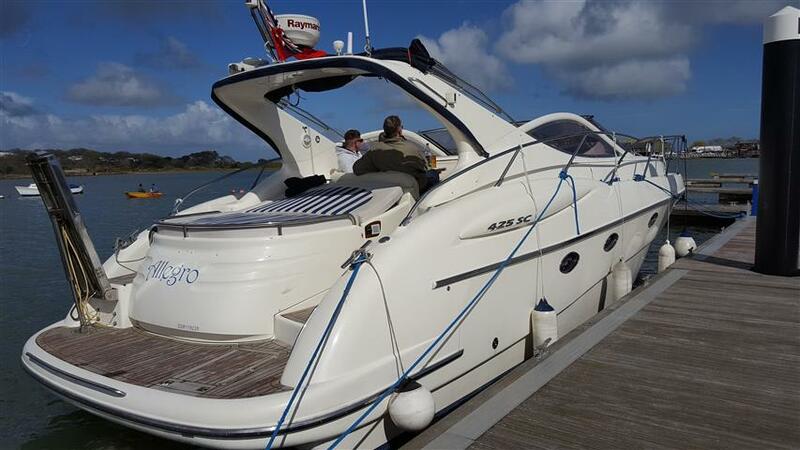 Prices start from just £1150 all inclusive of fuel, crew, moorings and complimentary chilled wines. 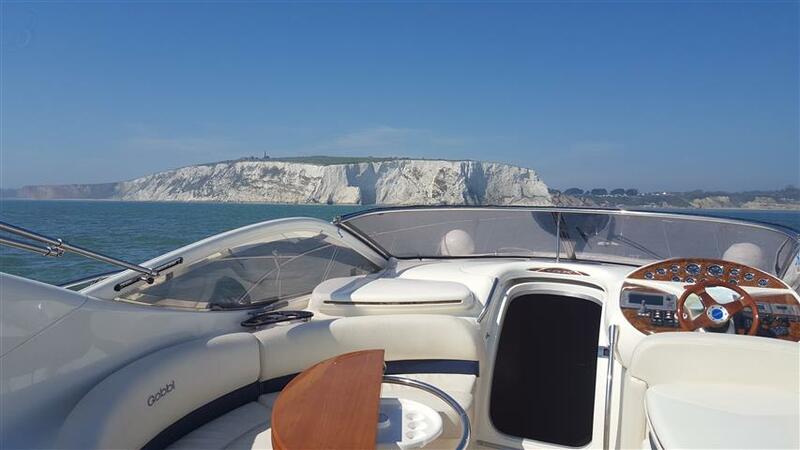 Day charters run from 10:00AM to around 5:30PM , and include a stop for lunch at an Isle of Wight port.